There is a lot of green stuff in a tropical rainforest. Apparently Khao Yai is particularly noteworthy for the diversity of flora and fauna it contains. Ray: C'est un bel endroit à visiter, Martine. a lovely composition- and so green! Ray: Thank you, Philine...it was a lovely place. Ray: I think either green or blue works for most people, Lisl. I'd be scared of what I might see in a place like this..
Ray: Well, Chris...there are wild elephants, wild tigers, hornbills, monkeys, king cobras...more on wildlife soon. Une très belle vegetation à decouvrir surement . Big? No, no, no.. I have trees around 2km from my home that is bigger then this and then of course around 15km, there is the New Forest National Park with its big trees. You have more Buddah temples, though. Ray: Calm down, Al...I said "quite big"...I didn't say "biggest". And, I was referring to flora and fauna...next you will be telling me there are sheep in a paddock just 1 km down the road from your house that are bigger than elephants! Ray: Aye brother Will...that be true! This is a very attractive scene Ray, lots of green, as you say, but nice topography to boot. Ray: Quite lovely to get a high viewpoint and see the ridges of heavily treed land, Chad...I sat and looked for quite a while. As foreign to me as Australia's was. Ray: Yes..a wonderfully Alien World for me too, Mary. I can't imagine what it must be like to see proper rain forest, we have nothing like it over here. Ray: From a high vantage point, Brian, it is endless green...up close it is evidently impenetrable. Woo - great stuff, Ray! Ray: In the wet season, Tom, it is mostly dense and impenetrable. 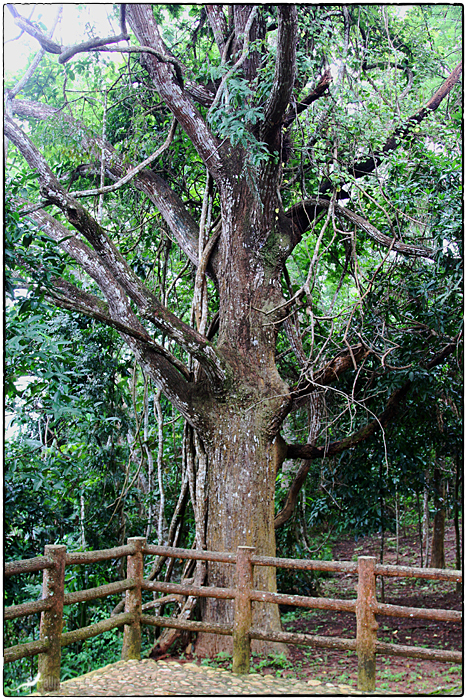 Most of Khao Yai has been carefully protected, and so remains a haven for rare wild animals and plants.